Birgit Minichmayr and Lars Eidinger at the photocall of "T'Alle Anderen" (Everyone Else) during the 59th Berlin Film Festival. Birgit Minichmayr at the press conference of "The Bone Man" during the 59th Berlin Film Festival. Birgit Minichmayr at the photocall of "The Bone Man" during the 59th Berlin Film Festival. Maren Ade and Birgit Minichmayr at the Award Winners press conference during the 59th International Berlinale Film Festival. Birgit Minichmayr at the 59th International Berlinale Film Festival. Birgit Minichmayr and director Maren Ade at the photocall of "T'Alle Anderen" (Everyone Else) during the 59th Berlin Film Festival. Birgit Minichmayr, director Maren Ade and Lars Eidinger at the photocall of "T'Alle Anderen" (Everyone Else) during the 59th Berlin Film Festival. 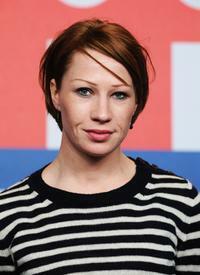 Birgit Minichmayr at the press conference of "Everyone Else" during the 59th Berlin Film Festival. Maren Ade, Birgit Minichmayr and Janine Jackowski at the premiere of "Everyone Else" during the 59th Berlin Film Festival. 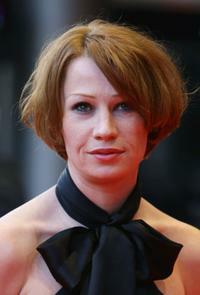 Birgit Minichmayr at the premiere of "Everyone Else" during the 59th Berlin Film Festival. Maren Ade and Birgit Minichmayr at the premiere of "Everyone Else" during the 59th Berlin Film Festival. Birgit Minichmayr and Janine Jackowski at the premiere of "Everyone Else" during the 59th Berlin Film Festival. Lars Eidinger and Birgit Minichmayr at the premiere of "Everyone Else" during the 59th Berlin Film Festival. Josef Hader and Birgit Minichmayr at the photocall of "Der Knochenmann" (The Bone Man) during the 59th Berlinale Film Festival. Birgit Minichmayr at the premiere of "Fallen" during the 63rd Venice Film Festival. Nadja Uhl, Maximilian Brueckner and Birgit Minichmayr at the premiere of "Kirschblueten Hanami." Birgit Minichmayr at the 63rd Venice International Film Festival.